B0808. 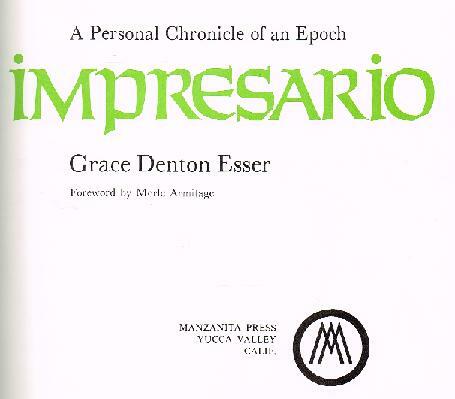 GRACE DENTON ESSER. 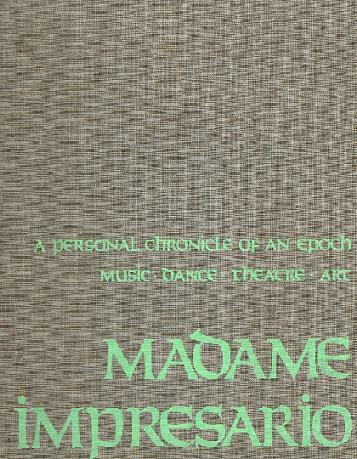 MADAME IMPRESARIO, A PERSONAL CHRONICLE OF AN EPOCH, MUSIC, ART, THEATRE, DANCE. Foreword by Merle Armitage. 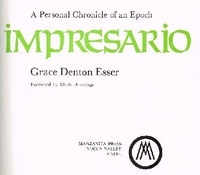 Yucca Valley, CA, Manzanita Press, 1974. 230pp. Numerous photos. A chronicle of the 1920s and 1930s, replete with photographs.